Are you ready to expand your beauty business but not sure how to structure the compensation model? Should you hire a team of employees, booth-rent, or bring on independent contractors? 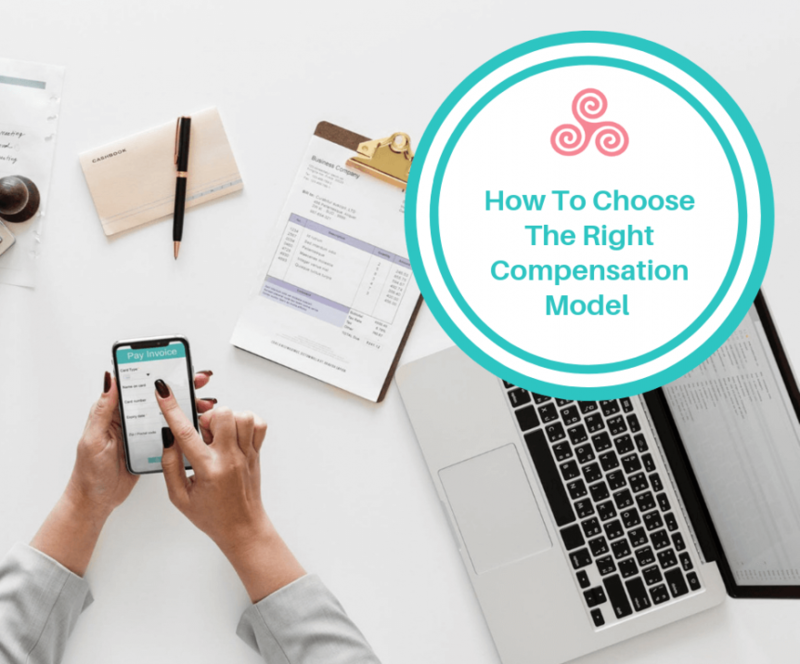 We need to consider how different compensation models affect your business plan and profit margins. It’s also important to know what you want to create. I know, that might sound like the easiest question on the planet but you’d be surprised to hear that most spa business owners don’t really know. It’s important to get clear on this because we all want different things. What you want may not come close to what I want. Some owners believe the next step in business is bringing on new people. Mostly because this is what you’re “supposed to do.” Other spa owners simply follow what others are doing – even if it’s illegal. So, there is some confusion around business expansion and how to handle compensation when you’re ready to grow. In an effort to raise the bar in the beauty industry, we should become more informed so we can choose the right compensation model for our business. An employee is someone who’s hired for a wage, salary, fee, or payment to perform work for an employer. When you hire an employee for your business, you have more control over behaviors during working hours, such as the performance of services, how one carries out operational procedures, or dress code, to name a few. Hiring the right employees gives you much better control over how your clients perceive and experience your brand when they interact with anyone on your team. At first glance, the booth-renting model can be appealing. You can fill all your treatment rooms, charge a monthly fee for each, and have your rent covered. Easy peasy, right? Sounds easy until one of your renters does something that isn’t in alignment with the way you do business. Uh-oh! You don’t have control over the booth renters because they’re independent operators. Booth renters can dress and behave however they want. They can work whatever hours they like and sell their choice in retail products. You’ll end up with a bunch of micro business owners running around doing things their own way. Most of the time there’s no cohesiveness or synergy among booth renters so clients who visit your spa won’t receive an experience that’s unique to your brand. The way you choose to run your spa isn’t your renters’ priority – things could work out okay or they could become a nightmare. Many spa owners bring in 1099 contractors but treat them like employees. Or expect independent contractors to behave like employees. Some owners offer high commission pay structures which are not sustainable and can have dangerous financial implications. Bringing in independent contractors can mean fewer responsibilities, such as health insurance and payroll taxes. However, most commission only based pay structures are illegal. I don’t want you to get into trouble. There’s no one-size-fits-all answer to how you structure your business and compensation model. It solely depends on what it is you wish to create. A new hire went through a lengthy onboarding process to help integrate into the culture which helped set them up for success. New hires were given an employee handbook and extensive operation and hands-on training. The only time I brought in an independent contractor was for a service that wasn’t one of our core offerings. This contractor had her own way of doing things but it was in alignment with the brand image I built. I simply provided her with space and considered it as a value-add service for our guests. I recommend only bringing in independent contractors who offer different services from what you currently deliver at your spa. Even then, make sure you select someone who can present an image that’s in alignment with you and your brand. In my opinion, the most recent trend started when the industry somewhat “fell apart” back in 2008. The recession had fifty plus salons and spas closing daily. Many licensed professionals wanted to have their own businesses and the “solopreneur boom” was born in the beauty industry. However, many realized how hard it was to work behind the chair and run a business simultaneously. Now, the tide has turned. I’m coaching many clients who are expanding from solo to building a team… and we’re coming full circle. Many solo owners have a solid vision and want to build a team of leaders. More estheticians who went solo are now joining other spa businesses as employees, which allows them to focus on their expertise rather than trying to run a business. The truth is, not everyone is meant to own a business… it’s a totally different animal. I know, many solo estheticians and hair stylists would say, “No way! I’d never work for anyone again!” But what if it was the right owner? What if you loved coming to work and were treated with respect and you were getting paid your worth? If you’re an employer, it’s important to create the appropriate environment to attract the right talent. If you’re an employee, look for a business that will allow you to thrive while knowing you need to put in the effort to grow your book of clientele. I believe that the days of high commission structures are over. High commission pay-outs are not sustainable for the business which forces many to close their doors. I like to see a compensation formula that’s a mix of an hourly rate plus performance-based bonus. In addition, don’t forget to figure in gratuities. Tips are a big part of a spa employee’s earnings, and therefore should be counted as part of the income. My mission is to help spa owners build teams and expand their business seamlessly. If you’re ready to expand your beauty business and want to learn from someone who has “been there done that,” fill out the Elite VIP Coaching Application and I will be in touch. Note: I am not employment attorney. If you have questions regarding your employment status, I suggest that you speak to an attorney or contact the Department of Labor in your state.